Some got money, some got time… Winners are those, who got creativity! Home and house both look like the same thing but feel different. House is the residential architecture and engineering but home is architecture and engineering of emotions and love. Art could change your life, truly! And being a lady I can’t totally understand your desires to make your kitchen the most beautiful room of your house. Isn’t it where you used to chitchat with your mother and sneak in late night to steal chocolates from the fridge? Let’s take a journey to artistic and beautiful DIY Art Ideas For Kitchen and look if we can try something to make our kitchen next favorite place to be. 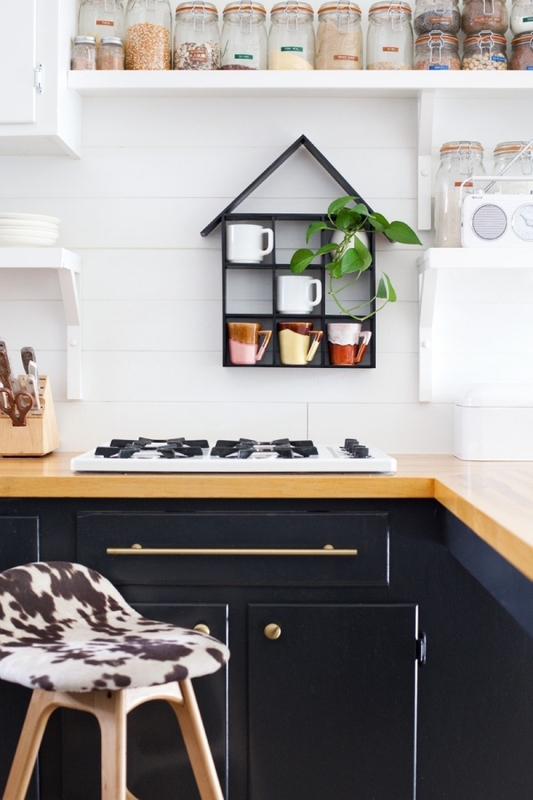 Who doesn’t want a budget-friendly inspiration to update kitchen with tip-top guest welcoming contour and décor? Utensils in simple regular hues are boring. But color them and they will become all new once again. Just some coloring and creativity and your tedious looking cups and saucers and plates would look catchy now. Contemplating the colorful utensils with the matching kitchen interiors would also serve the purpose of recreational kitchen! Got a spare piece of ply at home? Go and get them cut in the dimension you would want for placing several number of cups. Job starts by painting them. You can go for any color you want for your home to flaunt. 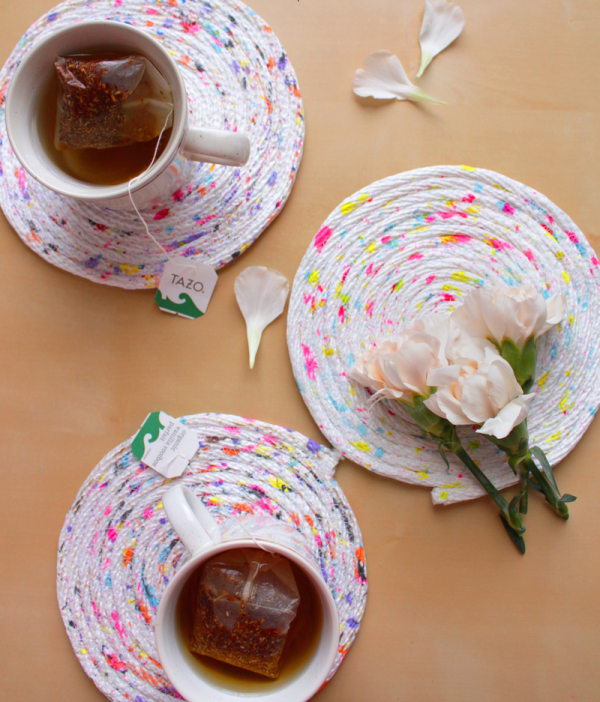 Make sure you choose some neutral shade so as to pop up your colorful cups sitting right on it. 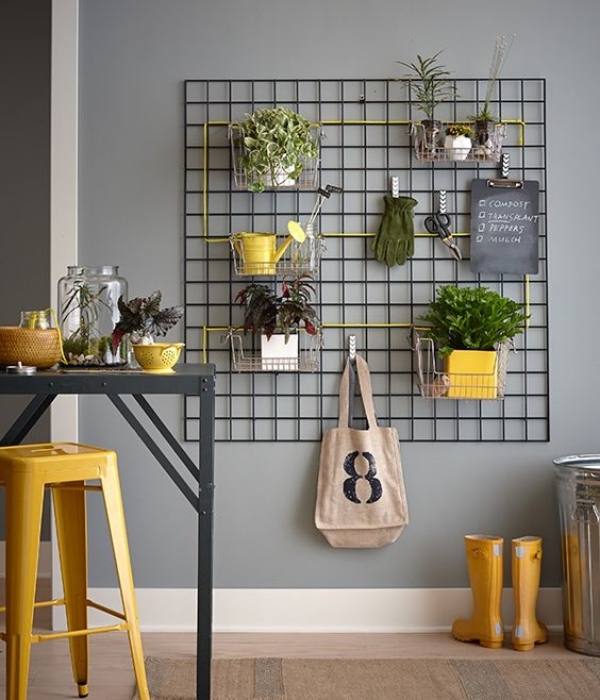 Hang it in some corner of your kitchen and enliven the milieu with some in-house plants. Wine bottles could be of so many uses… Check it out here! 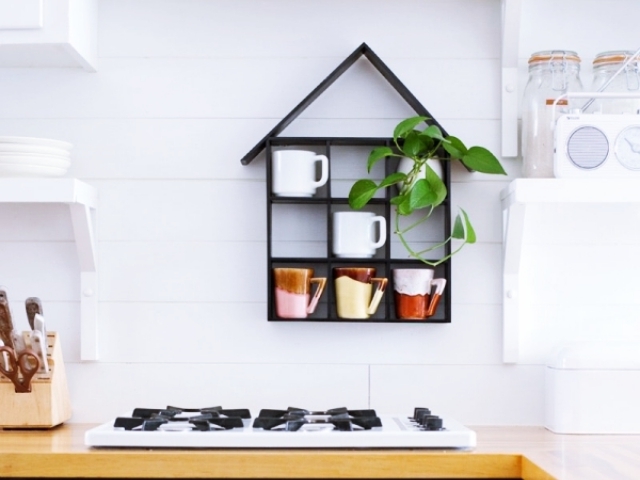 Attaching shelves to the pegboard to keep kitchen accessories and in-house plants will look attractive. You may also use the corks to pin the scissors on it and hang other stuff like spoons and thongs. 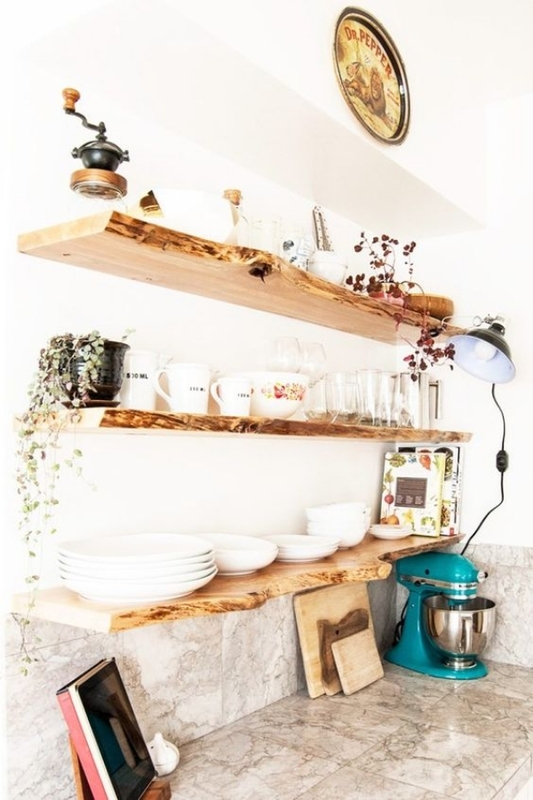 This could also be a beautiful idea for hanging cups on the pegboard for an eye-catching look. 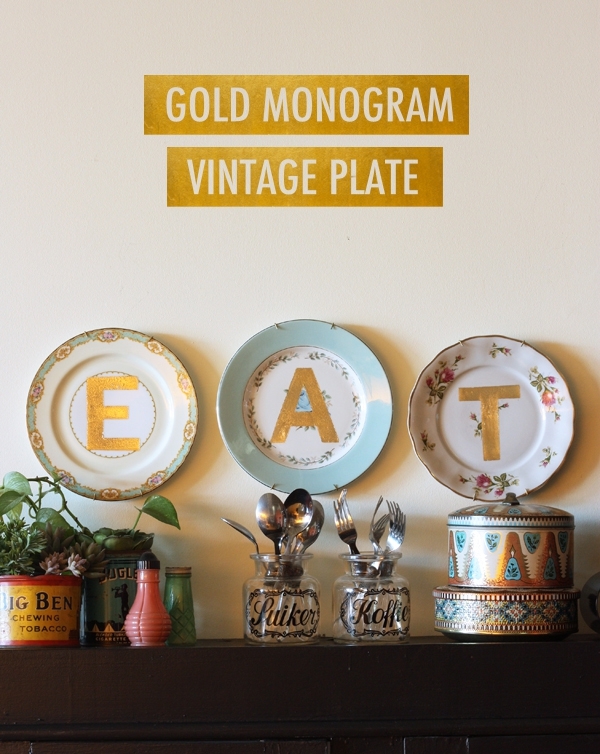 Choose vintage plates for this very easy task if at all you want an exceptional appearance. “Eat. Play. Repeat.” May be a nice tagline for your kitchen. Or if there is something else that matters to you and relates you with your kitchen in a better way. Seems like wooden log directly cut into a thick plain sheet and then pinned on the wall right after getting it painted. Rather than painting it in some awkward style prefer it to be simple. The simpler, the better! Actual wooden look craves for just a bit of varnishing and no painting for absolutely natural appearance. Is there any lazy head in your house that loves to have a cup of tea or coffee before their eyes completely opens? Yes, then its time to grab some thoughtful idea of imprinting some funny provoking words that connects you with your kitchen even more. It could be a message you want to give to your family or something that relates to your love with cooking. You would need some colorful fabric and a big spherical transparent thing that could hold the bulb within it. Now, we need to cut the fabric in number of circles and go on sticking them one below the other until you reach the end. 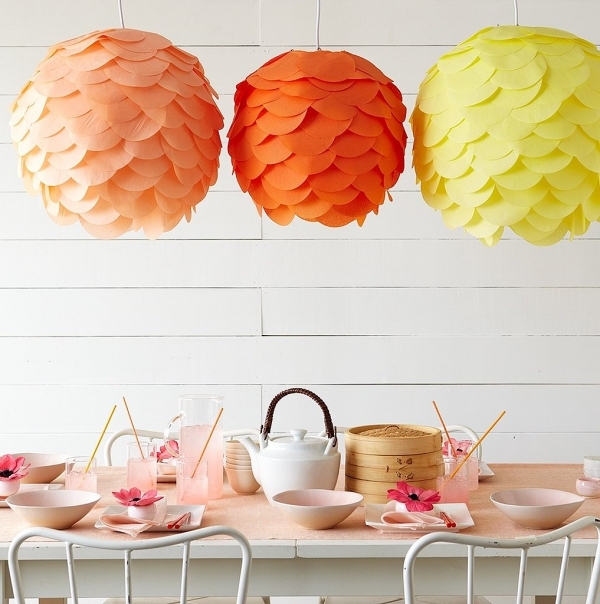 Light the bulb within and cherish the beautiful DIY lighting inspiration hanging in your kitchen. You would need a wall stand made from iron and painted to avoid the rust. And just a few in-house plants ideas for absolutely green glamour in your house. Beauty resides where color redefines and you must paint your planter’s pot in bright hues. Adding gardening gloves and watering can for more attractive look. Easy way to make your kitchen look unique in its own way is to get personalized wallpaper printed and duly sticked somewhere you want nothing a nice show. Wanting to make it on your own is also not a bad idea, though! Try doodles and miniature kitchen themes artwork and they can be drawn singlehandedly. It is fun too! 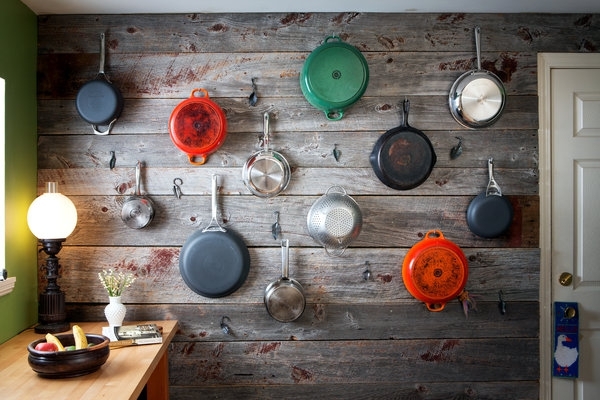 Red pressure cooker, black frying pan, silver saucepan and so many colorful utensils make a good wall art when pinned on it. Despite, the other fact that it save so much space in your kitchen for doing other things as well. Colored utensils to trash out that boredom you used to feel looking at the same old styled utensils are, indeed, a good idea. Gradient or Ombre inspired paints on the spoons and bottoms of the cups and fronts of the plates and bottoms of the frying pans and so on and so forth are the ideas you could get them colored. Color dipped inspirations are for the languid masses around though you always grab some thin brush and start to paint some authentic design on them. Rope and glue, that’s all you are going to need for making the rope trivets and end up becoming happy seeing them placed right on the dining and making your food plaza more beautiful. 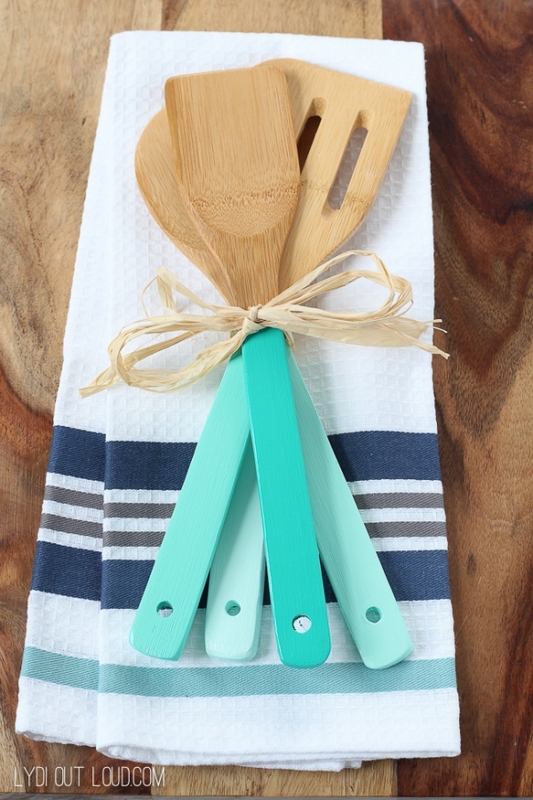 Simply go on applying glue and spiraling the rope up to make a colorful trivet ready. Colorful ones or the sprinkled colored ones or some patterned ones… different types of detailing on the rope will give an all-new appearance. Such amazing table decoration ideas don’t have to wait until the occasions come! Home is where you are born and die. Home is where you learn to love and share. Home is where you grow up and discover life. Home is where you mess up with your siblings. Home is where you are free to itch exactly at the point it’s scratching (You know what I mean, right?). Make it special!